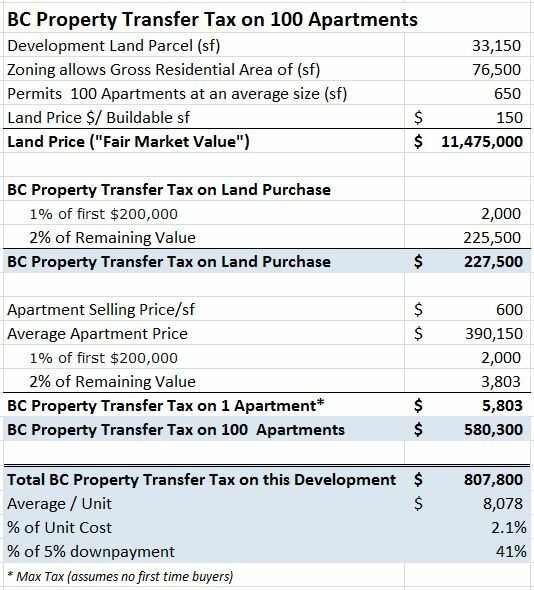 BC Property Transfer Tax “Double Dips” – time to review the tax? A recent story in the Vancouver Sun had me thinking about the BC Property Transfer Tax (PTT). 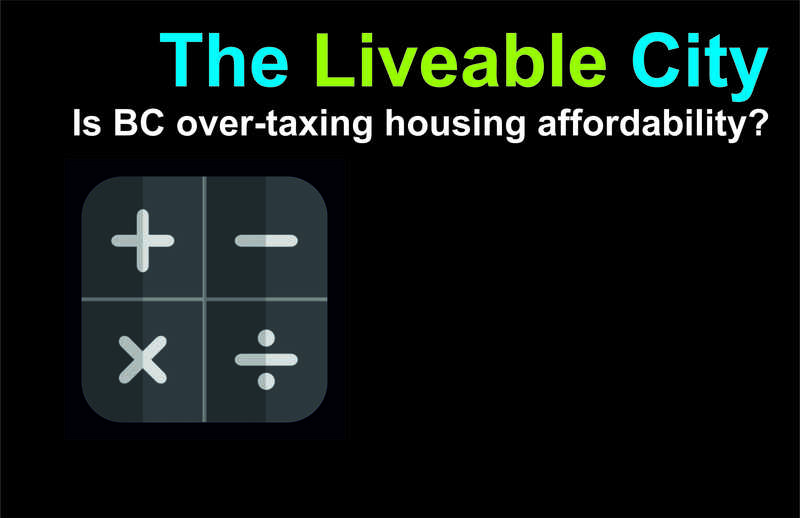 Most observers focus on the tax on residential units, but that’s only part of the story. The PTT is actually collected twice for a new development. When you add on the PTT on the cost of the land to the PTT collected on the sale price of the unit, the resulting “Double Dip” can total up to 40% of a homebuyer’s down-payment. Here is an example based on an urban inner-city development with 100 apartments. The example assumes the purchaser has a minimum down payment and is not eligible for a PPT discount. Note that even if a home buyer qualifies for a discount for the PPT on their apartment purchase, the cost of the PTT on the developer’s land purchase is already embedded into the cost of their unit. It’s a hidden double dip. Given the affordability crisis in the Lower Mainland, is it time for a wider review the BC Property Transfer Tax policy? Next Post → Do we need a “NEW Vancouver Special”?